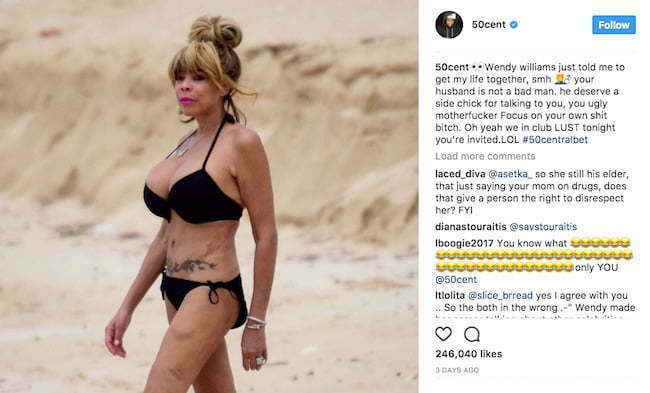 50 Cent has been going in on Wendy Williams for days now after the talk show host drop a diss on him. The rap legend says that he is going after Williams because she told him to get his life together. 50 posted the same photo that T.I. posted of Wendy Williams on vacation in the Caribbean. In September, TIP got into a social media beef with the talk show hosts and both of them clap back pretty hard at each other. 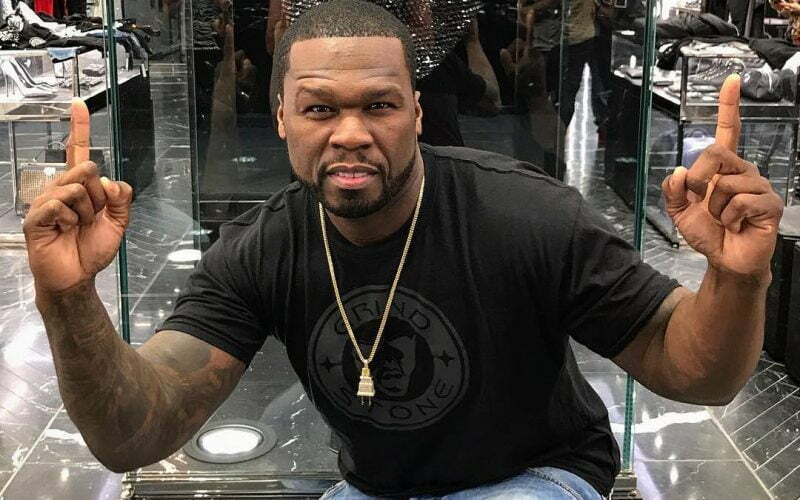 Fiddy is perhaps a little less kind than the Hustle Gang rapper. 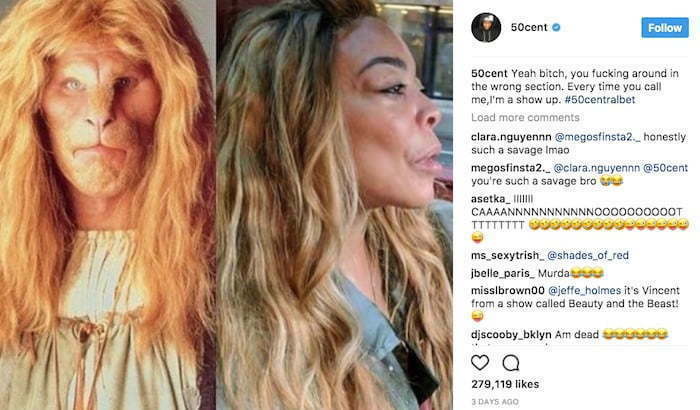 Surprisingly, Wendy Williams has yet to respond to 50 Cent and something tells me that when she finally does, it will be as epic as her comeback to T.I. when he disrespected the rapper’s wife Tameka “Tiny” Harris. This is also 50 Cent’s territory so if she does respond it could be a whoel year long beef on social media. Fifty has a habit of never letting up on his enemies, just ask Diddy. “Yeah b**ch, you f***ing around in the wrong section. Every time you call me,I’m a show up,” he wrote.